Enjoy a customized tour for families and small groups. The meeting point will be at your hotel . At the end of the tour you can choose to either head back to your hotel or stay somewhere else you prefer. Enjoy a walking tour around Madrid centre. Estimated time 4 hours and a 4KM tour. Some of the places you will visit are: Puerta de sol, Plaza mayor, San Miguel market, La Latina, Almudena Cathedral, Royal Palace, Plaza del Oriente, Debod Temple, Retiro park, Chueca, Las letras district and Puerta de Alcala. Also enjoy a stop at some gastronomic places from the center for lunch (not included). 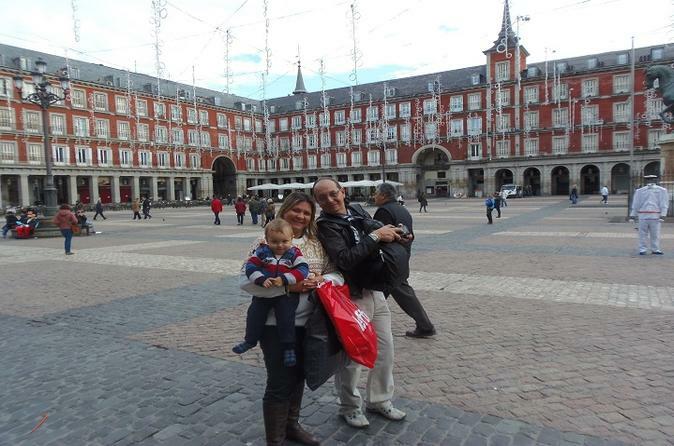 Conclude the tour back at your centrally located hotel in Madrid or any other chosen location of your preference.